Help from expert Bible scholars in understanding the Scriptures! This proven commentary, edited by trusted scholars Roy B. Zuck and John F. Walvoord, offers expert help in revealing and applying the Scriptures. • What does the verse mean? • How do Bible-time customs help me understand this passage? • How does information about the author, historical background, and features of a Bible Book help interpret the passage? This proven commentary answers these and many other questions, verse-by-verse and often phrase-by-phrase. Popular in style but based in profound scholarship, it will shed light on the mysteries and complexities of God's Word. The Bible Knowledge Commentary is designed to help all Bible students, from the beginner, who will find it easy-to-understand and easy-to-use, to the advanced, who will find it consistently thorough and reliable. You will quickly find this commentary in your "most-used" library of resources. 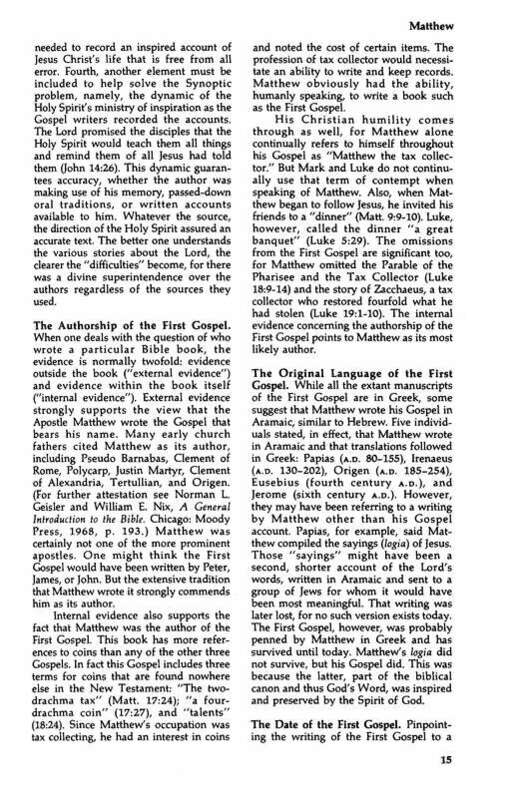 The Bible Knowledge Commentary is based on the best-selling New International Version, but is useful with any Bible translation. It is written and edited by the world renkowned Dallas Theological Seminary faculty. "The Bible Knowledge Commenatary is true to the text, to the point, and yet meaty enough to give serious students of the Bible something to chew on. I need it. I use it. I recommend it." This is a great commentary, I have used it in preference to my other commentaries since I purchased it. The authors clarify things which many commentaries don't even touch on. I like the fact that they believe the Bible as it is, without too much allegory or spiritualising of the text unless it is clearly required. Dispensations are clearly taught right through the Bible, and without them, way too much is left to the imagination of the commentator, rather than the clear Word of God. Thank you to the authors for a great commentary. For years I have had the hard cover Old and New Testament copies of The Bible Knowledge Commentary. Now to have them both at my fingertips through e-Sword on my iPhone is wonderful. Have enjoyed the Bible knowledge commentary immensely, it's a great addition to any library. helps me find more in depth meanings in the scripture. recommend it. The Bible Knowledge Commentary is an excellent conservative Commentary. It is quite comprehensive but not filled with fluff. It is concise and accurate. Have used the print version through out 33 years of pastoral ministry, the electronic version is even better and costs half the price. Highly recommended! I have been pleased with this commentary. It always seems to have something helpful and succinct to say, and it is a modern commentary of both the Old and New Testaments. Worth every penny. It lacks the personal illustrations of J. Vernon McGee, however, but it has a comment on almost every verse (unlike many commentaries which just give you a summary of the chapter, or run all comments together on a subject (like Matthew Henry), making it a bit more work to find what you are looking for. It stays away from the wordiness of John Gill and the extraneous detail of minor points often found in the NICOT and NICNT. The only problem I have is that sometimes the commentary is just a rephrasing of the passage concerned, and is not particularly insightful. Excellent Bible Commentary Resource!!! I am pleased with the estudy product for esword hd. Exactly the same notes in digital edition as in the hard copy. I also ready possess the hardcopy but I prefer to have the digital edition with me all the time. It's worth it!! A Must buy for a serious bible student !!! While doing a study in Genesis this book was recommended. I have found it very valuable for anything that I am having to look up. I like the way it provides an exclamation to the verse you are looking at. I have used the hard copy since 1986. I find it well written and easy to understand. It may not answer all your Biblical questions, but it has helped me. 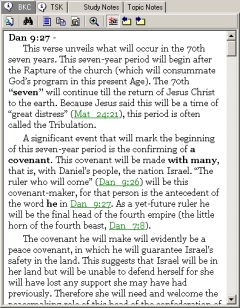 Bible commentary was what I was looking for on my iPad and PC. Process of purchasing and downloading was easy and fast. Thank you. This commentary should be in "must to have" list. After reading the reviews, just as you are doing now, I decided to purchase this commentary and since I'm located in China I pay 6 x's more for a USD purchase... I feel the commentary is worth every penny. Hat's off to Rick Meyers for the great software product E-Sword! This is a "must-have" study tool for Bible study. While it may not delve as deeply into each verse as single-book commentaries do, it is consistently helpful in grasping the meaning of Biblical passages. Well worth the money! I am a pastor and have this commentary set in both hard copy and on my office computer. I like it so well that I purchased is for my personal laptop computer as well so I could have it available when traveling. As a pastor I would not rely on any single volume or set of commentaries, but I believe this set is a good reference to have. E-sword has been a blessing to my ministry saving me many hours of typing in my sermon and lesson preparations as well as in searching for various items through the use of their concordances. Many of the e-sword helps I have on my office computer I also have in hard copy from years gone by but e-sword is quicker and more convenient to use. The Bible Knowledge Commentary is a big help in my Bible study, I like how it gives other verses that back up what it is talking about. Thank you, Praise be to GOD. This is proving to be very helpful and I appreciate the way it coordinates within e-sword. I have four Commentaries and all are good. However, I like the Bible Knowledge Commentary for its detail. Also it is written by more than one person so you have more than one view on any given verse. I switch between it and McAuthur. This was a great choice for a commentary and bible background source combined! Sometimes you need to just let the verse speak to you as you meditate, and some times you need a theology or a history professor to come along side of you and give you all the background. The timelines are especially valuable if you have a project that needs that special overview of a time period that enlightens a topic. Perhaps the best single source of info a person could use. Written by men who have devoted their lives to the study of God's Word. Great buy, highly recommend! 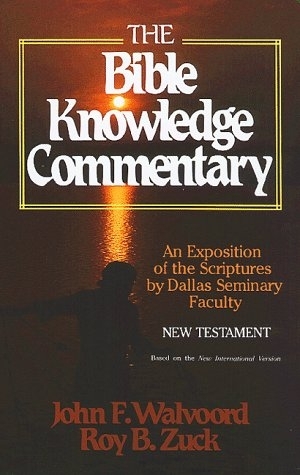 I recently added The Bible Knowledge Commentary(BKC) to my suite of e-Sword commentaries. I find it concise and very helpful, following scripture line-by-line through both OT and NT. It's well worth the low price to have such a valuable tool. I recommend it highly, as well as the Believers Bible Commentary(BBC) and Baker's New Testament Bible Commentary(BNTC), both of which I also use. These are my "big three" newer sources of information regarding scripture. They stand alongside the Matthew Henry and F.B.Meyer, as well as a few others that e-Sword generously supplies with the basic program. I use all the features of e-Sword, especially the text editor, as I find this the most effective way of studying the bible and of doing the weekly lessons for Bible Study Fellowship. 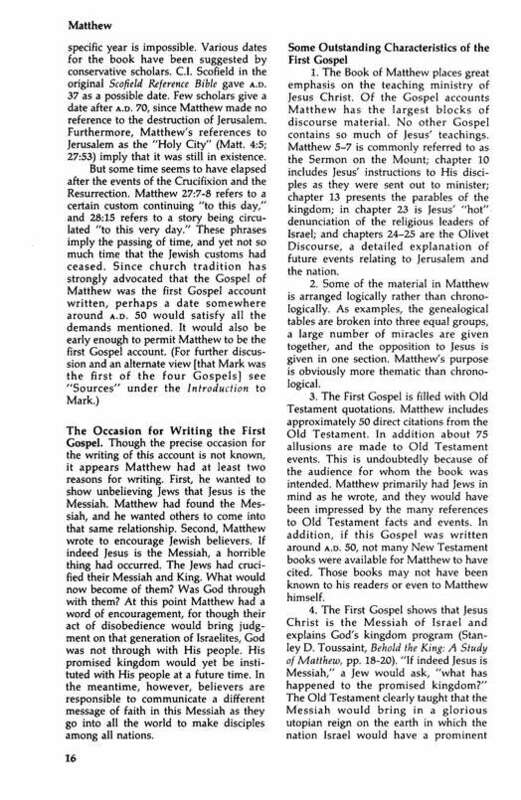 Of course, the commentaries are only referred to after answering the questions, giving The Spirit first chance to lead. I now take my computer to each bible study I'm involved with, simply because it's so handy to have so many different versions of the bible just a mouse-click away. But the commentaries and dictionary are invaluable tools as well for anyone who wants to gain a more in-depth knowledge of God's Word. Thank you, e-Sword, for giving me such an important tool for developing a closer relationship with my Savior! 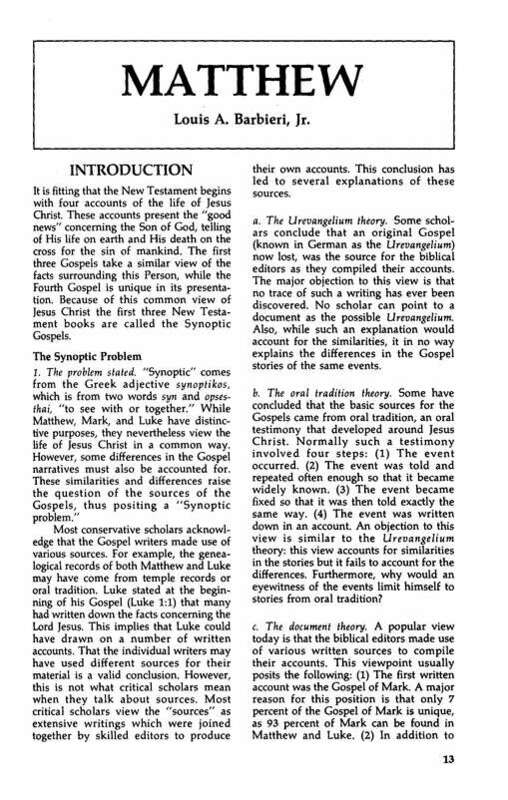 The Bible Knowledge Commentary has long been my favorite go to commentary as a Bible teacher of many years. The insights are written in such a way that you don't have to have a seminary education to understand what is presented in the subject, book or chapter or verse. Now in electronic format, it is so much more accessible for study without having to search through the paper version. Thank you for making this valuable resource to the e-sword family of study resources. If I had to pick one commentary to stay with, this would be it. Nice blend of practical with technical commentary and explains obscure passages the best of the commentaries I read. Solidly orthodox evangelical Christian. I highly recommend this commentary. I have enjoyed the books for a long time but it so easy to have it in e-Sword. I like having everything close for quick reference and I have great confidence in Walvoord & Zuck. I really like this commentary and use it often. It is not written in the archaic English of some of the old standard commentaries. I recommend this for any preacher or Bible study addict like myself. As a pastor I normally use numerous commentaries in the preparation of a message. 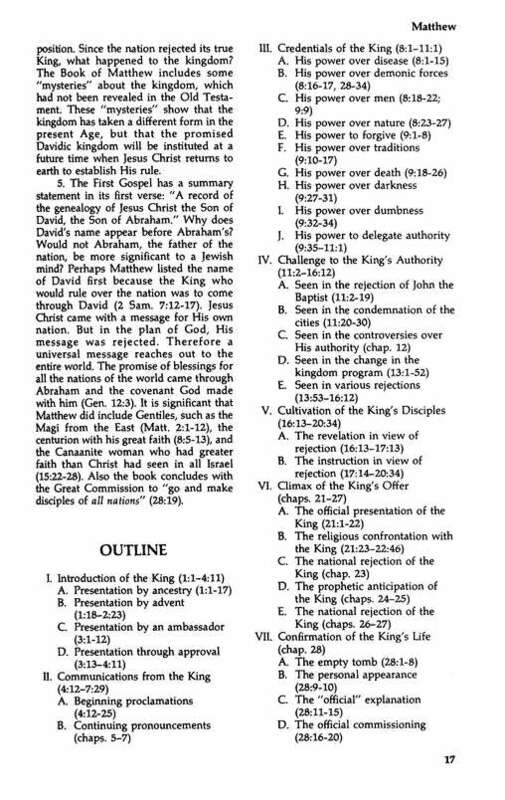 One of the six I nearly always use when preparing a message from the NT is the Bible Knowledge Commentary. It is a blessing to have this commentary on my computer where I can copy and paste directly from the source into my study or preaching notes. I highly recommend this commentary even though there are some areas where I disagree with the commentator. For a two volume commentary it is one of the best that I am aware of. Great resource for commentary information and application. I own the volumes in print and in electronic format and it's great to be able to copy and paste. I consider BKC a foundational resource for my studies. Highly recommend. I have used Walvoord and Zuck's Bible Knowledge Commentary ever since I seriously started to study the Bible! It is the best basic commentary to start with, after you've read the passage and gleaned what the Holy Spirit is teaching you first. Having it electronically is very handed, though it seems none of the maps or illustrations came over electronically. The charts are handy to have electronically though. Definitely worth it! This is an excellent offering from the Evangelical school of thought. I like a good balance with my secondary sources. And this is a great resource concerning that balance. All of reference tools are in one place to read wherever I go via E-sword. As a DTS grad, I have used this commentary for years. Still like to help new believers learn with this commentary. I used to have to get out an old computer with a program that has this commentary. Now it is all in one with Esword. Thanks eStudySource! this Commentary is a great help in bible study. a commentary that is written with the all types of readers in mind. an easy read and easily understood, doesn't "go over" one's head! Also love the many scriptural references. A must for Sunday School teachers for any age level. I use the BKC almost every day in my studies and have found it to be very excellent and noteworthy. A welcomed asset to my collection. I have used the BKC for some time now in other Bible programs and I really think it is a great commentary. It will be a good addition to my ESword program. The Bible Knowledge Commentary is quickly becoming one of my main commentaries for in-depth study of the Word. The mix of going through the meaning of the original words and straight forward commentary that places the original words in an understandable context is outstanding. I have many other commentaries that I use, but this is becoming my favorite. Highly Recommend. I just this commentary just it time for a study of John:8 What a great commentary it was very helpful I am very glade I got it. As a pastor-teacher, I have found this Commentary to be very informative, helpful, enlightening and easy to use. Not overly wordy or technical, but good practical help and information. I have accessed many commentaries in over 30 years of pastoral ministry and I think this is one of the better ones. I highly recommend it to the serious student of God's Word, and those who are just hungry for more revelation! This commentary is my number one source when I want to understand the Word. I use it all the time in my Bible teaching and it always has proper insight. I own the books, but it sure is easier to look on the computer if that is where you are doing your research anyways. I would recommend this as the first choice if you need to buy a commentary. 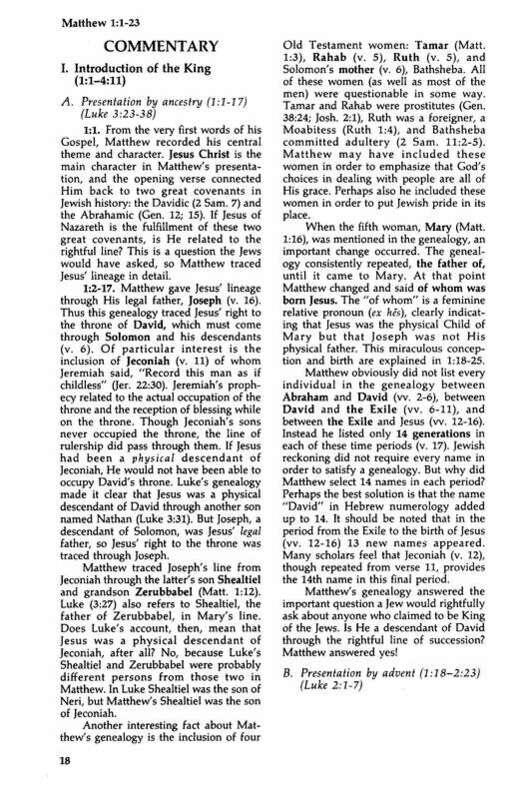 The Bible Knowledge Commentary Old and New Testament is a great source of information. I could not afford to buy the books; the electronic version for e-Sword was reasonable for the wealth of information contained in this commentary. God's Word is so vital to a Christian's Spiritual life. God speaks to us through His Word, it is food to our souls. At times a commentary will add vital information to our understanding of the gems hidden to the mind in the Word of God. Thank You for making it available to us! May God continue to Bless your work. This is a great tool. I use it as I read my devotions. Very easy to read along with as The Bible Knowledge Commentary adds to and explains to the reader the deeper truths of God's Word. The Bible Knowledge Commentary is easily one of the most solid, exegetical sources I've come across. After 25 years of thumbing through a hard copy, I'm so glad that it is now in a searchable format on e-sword! For serious exegetical help in understanding Scripture, this has to be one of the best Bible Commentaries I've come across. For such a work to come from a Theological Seminary, where most works are mainly from individual authors, speaks volumes to the quality of the work. This work contains a huge wealth of exposition which can only be regarded a an incredible blessing.